Consulting a chiropractor after a car accident is always a smart move. A chiropractor can treat neck injuries / whiplash, back injuries, soft tissue injuries, headaches, and is able to help you loosen stiff muscles up after the vehicular accident occurs. Many that are involved in a car accident think that they are fine because they don't experience any initial pain. Remember, just because you are not experiencing any pain right away does not mean that you are not hurt! This is a common misconception made by many. Almost all car crashes jolt the body to some degree. Many experience shock after the motor vehicle accident and put the bodies in fight-or-flight mode, which blocks the pain from being felt. Some people experience pain the next day, while other can take weeks or months to experience their injuries. Chiropractors specialize in "complementary and alternative" medicine. They diagnose, treat, and prevent disorders of the neuromusculoskeletal system. A chiropractor will use manual techniques to manipulate the positions of vertebrae to alleviate pain and maintain correct positions. When visiting a chiropractor after a car crash, it is important to tell them as much as possible about the incident so they can recreate the scenario and inspect all areas that may be affected. If possible, it's a good idea to write down and bring a summary of everything you remember about the accident, including the area of your car that was impacted, as well as the position in which you were seated, the position you ended up in after the accident, and any symptoms that you may feel. The chiropractor may want to conduct an X-ray to check for fractures and will probably conduct a full inspection of your neck and back. After their examination and diagnosis, they will form a plan of treatment to get you on your way to a full recovery. There are several methods of reducing muscle stiffness and pain and they may do an adjustment to correct anything that may be out of place. 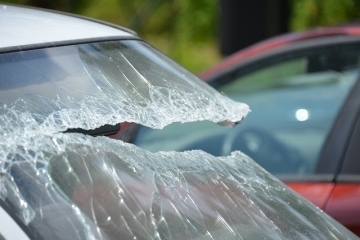 While standards in automobile bumpers are made to withstand damage at five miles per hour, the human body does not withstand damage at this speed (or any speed for that matter). When a vehicle doesn't absorb the force of the crash, the occupant of the vehicle does, leading to many forms of neck, back and spinal injuries. Often times, injuries incurred during an auto accident cannot be seen externally, such as soft tissue injuries (injuries to muscles, ligaments and discs), and could be healed with scar tissue which can ache years later. Damage to the spine can lead to recurring headaches, neck pain, stiffness, chronic muscle tension and spasms, lower back pain, spinal disc degeneration, inflamed arthritis, sore and tight muscles, and therefore greater chance of repeat injury. How about delays in the onset of pain from car accidents? Delays in the onset of pain are also common. 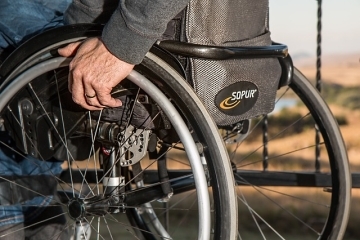 Joint injuries in auto accidents or after personal injuries may cause post-traumatic osteoarthritis, which is an arthritic process that may develop at an earlier age than those who have not had auto related trauma. Over the last several years, a ton of research has been done proving that injuries can and do occur in low impact collisions. The most common injury is whiplash (or neck injuries). Whiplash was discovered to occur in sudden changes of speed of only 2.5 miles per hour with minor back injuries also occurring. Problems such as whiplash can typically be felt within the first few days. Whiplash is a result of a jolt to the spine and is felt in the neck or back region. Some cases of whiplash just cause mild pain because the muscles tense up. More severe cases can cause excruciating pain and can misalign vertebrae in some individuals. There are also many more injuries that can occur, such as headaches, herniated discs or bone fractures. These types of accidents can cause chronic problems if not taken care of immediately, which is why it is important to be seen by a chiropractor as soon as possible. 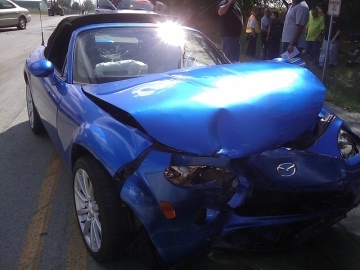 What kind of pains and injuries may I attain from car accidents? Headaches and migraines can be caused by whiplash, head injuries or other types of car accident injury. Headaches may appear when your neck is damaged because the stress or strain on your neck muscles can cause pain to radiate to your head. Head injuries or trauma to your head can cause headaches and migraines. If you are experiencing headaches after your car accident, you should get treated as soon as possible so that your headache pain does not become permanent. A herniated disc, which is another injury that can be sustained in an auto accident, occurs when a spinal disc bulges and puts pressure on the nerves in your neck or back. A sudden jerk from a car accident can cause a disc herniation or possibly sciatica. We're Here to Make You Feel Good Again!